Last night, I was reminded of the pure brilliance of New Girl. With the new series of New Girl hitting our UK screens tonight (E4, 9pm…see you there), I’m preparing for a full on Zooey Deschanel clothing obsession to hit. It was the mixture of monochrome, stripes and scallops that caught my eyed. Teamed with Justin Long, I was a helpless victim eagerly typing every related key word I could think of into an overworked Google. Well, my friends, it’s time I introduced you to my new favourite website. Enter, What Would Zooey Deschanel Wear (WWZDW). Yes, you heard me right…a website devoted to sourcing the beautiful clothing of Zooey Deschanel. Can’t find an exact match? Or, like the Kate Spade dress, is the exact match too expensive? The genius behind this website finds cheaper alternatives, including UK websites. Want to plan your Zooey Deschanel themed summer wardrobe? Help is at hand. 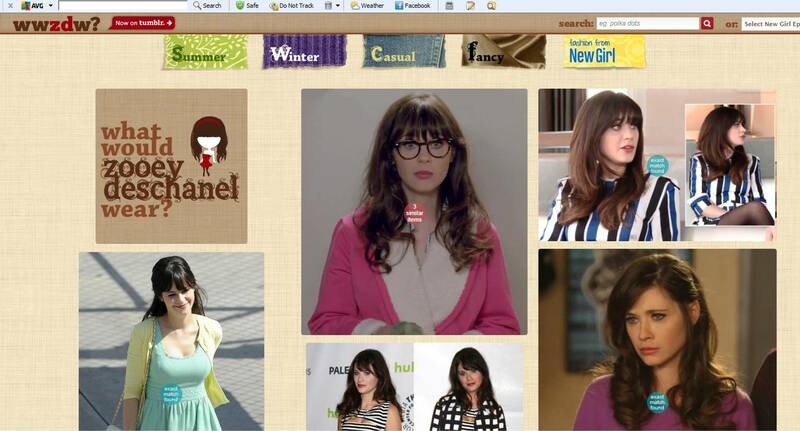 All of Zooey’s outfits are categorised into seasons. Anyhow, what are you still doing here? Go, go, GO!